Here is the newest version of Dota for the Ranked Gaming Client. 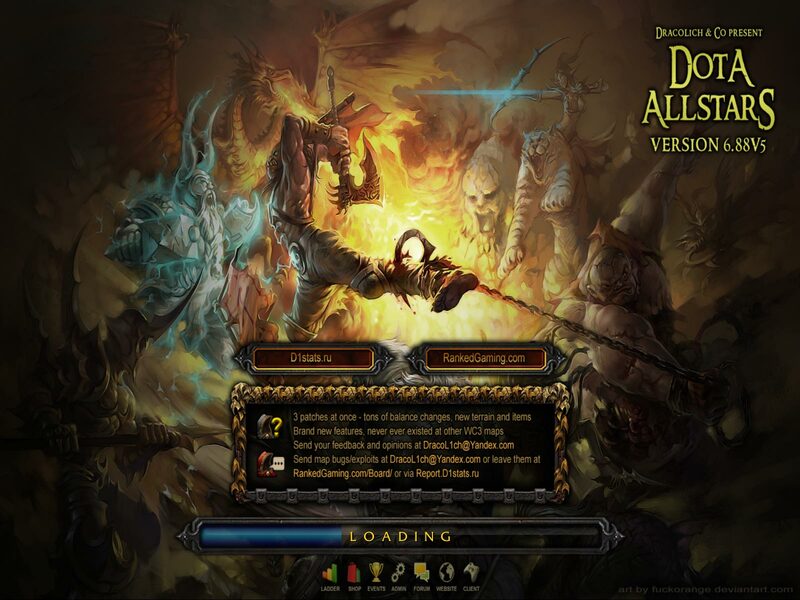 This is the Dota 6.88v5 RGC Download Page. Info: Always check, which Dota RGC Map you need in your RGC Channel! Find all Dota RGC Maps here. Dota v6.88v5 RGC is out. It is a Ranked Gaming Client Dota version! What are the big changes of Dota 6.88v5 RGC? 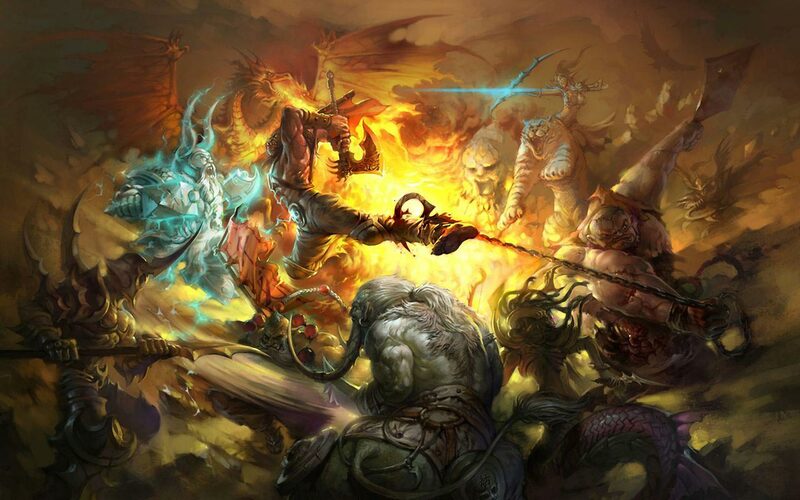 The minor changes are the balancing of the new Dota heroes and items. The new stuff produced many bugs, which have to be found and eliminated. The new heroes and items make Dota better and I really enjoy the new features. 01.04.2018 DotA 6.88vX (10) is out & in the testing phase. 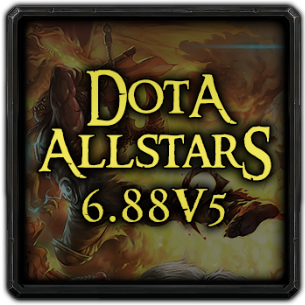 31.03.2018 DotA 6.88v9 is out & in the testing phase. 31.03.2018 DotA 6.88v3 is played again by many RGC Channels. 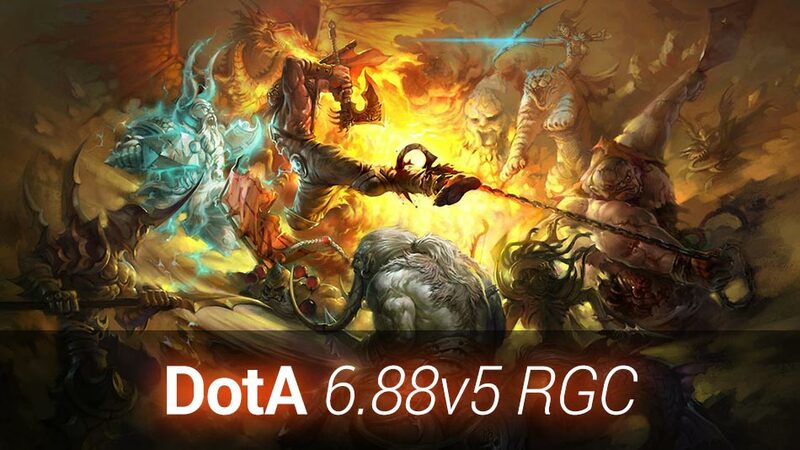 29.03.2018 DotA 6.88v8 has been released on RGC, and now playable on RGC. Fixed various spells of the new Dota heros and spells. Fixed Hex being undispellable by normal dispells (For example Purge). Fixed Tombstone’s Zombie didn’t attack (if Undying’s autoattack has been disabled). Fixed Unburrowing reset all abilities from Nerubian Assassin (when caused by Vendetta). Fixed Bloodseeker/Strygwyr’s thirst blocking slow effects on himself. Ball Lightning’s visual tail shortened. Added SelectCircleOfPower hotkey option to config. Fixed Kunkkas X mark the Spot Return does not stop Rolling Boulder & some other movement skills. Fixed glitch with lingering vision when hero is dying. VersionAlways check which Dota RGC Map you need in your RGC Channel. To play Dota 6.88v5 RGC on LAN games you need a different patch, see below. 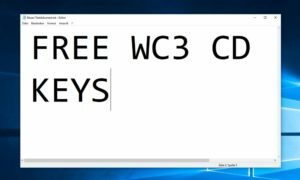 Download Dota 6.88v5 RGC to your computer. Need help? Make a comment! Problem: Dota maps higher than 6.88 do not work on LAN with Wc3 Patch version 1.27, 1.26a or older. Reason: The maximum map size is 8mb but Dota 6.88v5 RGC is bigger. i cant play this map..